1. Fresh berries with maple cream. See recipe here. 2. Paleo Caveman Chocolate Cupcakes. See recipe here. 3. Red, White, and Blueberry Ice Cream Pie. See recipe here. 4. Red, White, and Blueberry Vegan Cheesecake. See recipe here. 5. 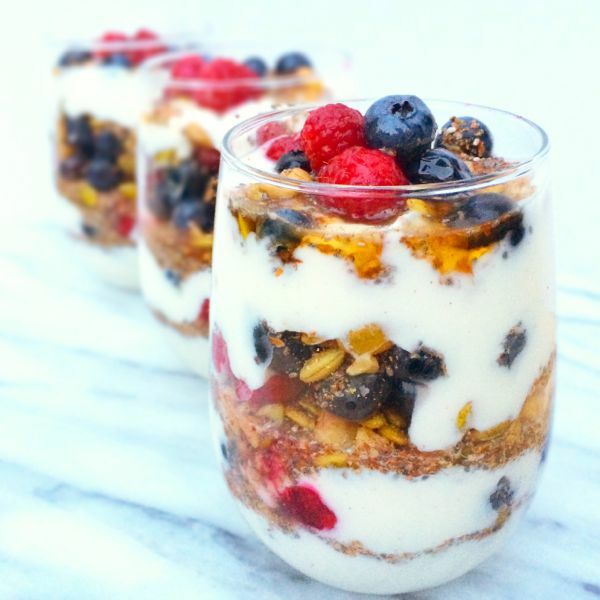 Fruit and Yogurt Parfait. See recipe here.